Drug addiction has spread its tentacles across the United States comprehensively and deeply as a threat to public health. For generations, it was thought that only “some people” in “some places” would use drugs; but as numbers and maps have shown, there is no city, region, or state that has not struggled with the insidious spread of illicit substances. Comparing substance abuse in urban, suburban, and rural America shows the full scope of the drug problem in America and may offer solutions on how to address the issue. There are many millions of stories from communities across the country about how drugs have killed children, torn apart families, and prematurely ended hopes and dreams. One of those stories comes from Berks County in southeastern Pennsylvania. With quaint farmland and stone barns constructed in the 19th century, NPR writes that everyone knows everyone in this rural area of 411,000 people. It sounds perfect, but “opioid addiction is deeply embedded” in small towns like Kutztown, Pennsylvania (population 5,012 in 2010). A paramedic talking to NPR explains that since heroin is cheap and easily obtainable from big cities (such as nearby Reading and Philadelphia), “there is no exclusive demographic” that has been affected. People from all demographics – from youths to adults, low-income to high-income people – have fallen under the sway. Over a period of two years, two high schools in the area had to bury six students who overdosed on heroin. In response, the community of Berks County has come together to raise awareness about opioid addiction – not just black tar heroin, but the prescription pills that are crushed and snorted; just consumed en masse by people who have chronic pain or who have a mental health illness that compels them to abuse drugs; or for any number of other reasons that have led to painkillers becoming the most widely abused drugs in America today. Such is the prevalence of narcotics that heroin no longer has the stigma that once kept impressionable and impulsive teenagers far away from it. A guidance counselor explains that the availability and affordability of heroin overrides negative perceptions of the substance: No longer is heroin that something only junkies do in the depths of their depression. Now, heroin is everywhere. And NPR explains that in a small town like Kutztown, boredom sets in quickly. Local efforts have included outdoor movie nights, line dancing nights, and other activities to ensure that drugs do not fill the void in teenagers’ lives. Even when problems are identified early and students are enrolled in treatment and rehabilitation programs, rural areas like Kutztown and Berks County do not offer many safe havens; following their discharge, students will most likely return to the same circle of friends, the same home environments, and the same cues, triggers, and temptations that set the scene for their initial dalliance with heroin. The substance abuse problems facing a rural region like Kutztown are felt across small towns and counties across the country, but particularly in New England and the Northeast. Such areas pride themselves on their fierce independence from the big metropolitan cities in their states, hearkening back to days of being in the wild frontier of a simpler America. Rice and Bread magazines writes of how the practice of making moonshine across the Appalachians – and snubbing the Bureau of Alcohol, Tobacco, Firearms and Explosives – is a cultural legacy. But this has also created a sense of isolation that feeds into the spell of drugs like heroin. It has further led to an environment where residents do not trust local government to look after their interests, where law enforcement – what little there is – responds too slowly to signs of abuse, and emergency medical services cannot intervene in time to save a life. The situation has created a destination for drug traffickers, who exploit the vulnerable populations of the rural towns of industrial and farming states like Kentucky, Virginia, and West Virginia. While the rest of the world uses terms like opioid epidemic and opioid crisis, it’s given a different name on the small towns and streets where the disease spreads: hillbilly heroin. The victims are usually poor, poorly educated, and prone to workplace injuries due to the physical nature of their work. Once introduced to medication, they are fed a poisoned lifeline of OxyContin and other prescriptions to keep them coming back (until they overdose). In 2001, The Guardian reported that 40 percent of adults in the region were dependent on opioids. In Kermit, West Virginia (total area 0.39 square miles, population 406), the former Sav-Rite pharmacy distributed prescription drugs to customers without checking for prescriptions. That location, and another one 10 miles away, handed out almost 3.2 million units of hydrocodone (an opioid pain medication that is sold as Vicodin) in 2006. At the time, the national average was 97,000. Salonmagazine called Kermit “America’s pill-popping capital” and the epicenter of the prescription drug epidemic. Rural America is treasured for its bucolic setting, but in his 2014 State of the State address to the Vermont legislature, Governor Peter Shumlin devoted his entire speech to talking about the “full-blown heroin crisis” in the Green Mountain State. In his address, Governor Shumlin spoke of the $2 million in heroin and other narcotics that are trafficked every week through his state. Between the years 2000 and 2012, more than 770 cases of treatment for opioid addictions were reported, and 80 percent of the state’s inmates were charged with crimes related to drug possession and distribution. Pressed for a reason as to why a scenic state like Vermont has to grapple with a deadly problem like widespread heroin abuse, the deputy commissioner for drug and alcohol abuse programs for the Department of Health cast a wide net: increasingly progressive attitudes toward drugs (and the risk of even lighter drugs like marijuana playing a role in at-risk populations moving toward more dangerous substances); economic factors contributing to increased access to drugs (whether higher incomes lead to spending on drugs, or lower incomes causing stress and anxiety that lead to drug abuse); even New England’s famously bitter winters have been cited as a reason. However, such questions have been asked time and time again, when rural, tight-knit communities bury another resident and wonder how their quiet little towns became plagued by heroin. The answer is usually the same: No one knows for sure, and there is no single answer as to why heroin is everywhere. When drug users were “junkies” who lived in crime-ridden inner cities (often in areas with a primary population of people of color), there was a call for being tough on crime and advocating harsh (and, in retrospect, unfair) prison sentences for even the most minor of offenders. But heroin use “skyrocketed among white [demographic groups],” whether those groups are found out in the countryside or living behind white picket fences. In July 2014, the Journal of the American Psychiatric Association published the reports of a study that found that over the last 50 years, heroin users are “primarily white men and women in their late 20s,” who live outside large cities. 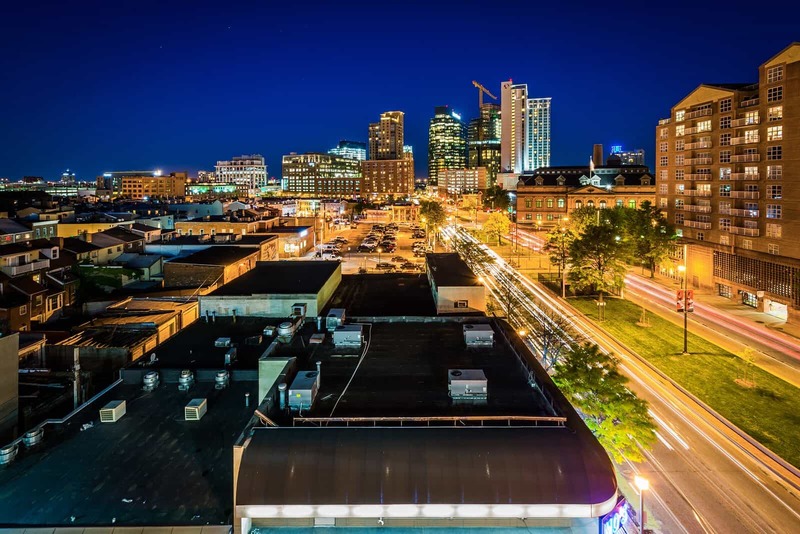 Why the paradigm shift away from the inner cities and to the towns and the suburbs? A May 2016 investigation by the Los Angeles Times identifies a pre-existing heroin market, aided by “War on Drugs”-esque policies of zero tolerance toward drug users, and a concerted effort by big pharmaceutical companies to push their opioid-based painkillers on patients desperate to find relief from their chronic pain. When OxyContin became the bestselling prescription medication in America, Purdue Pharma made $31 billion from its manufacture and distribution. This gave the company unlimited leverage in encouraging doctors to continue prescribing the powerful drug, even as it was found to have a shorter timespan of effect than was believed, even as patients reported needing increasing amounts of the drug (or any kind of narcotic to help them manage their pain), and even as bottles of OxyContin could cost hundreds of dollars. Over a decade, the conditions brewed the epidemic that has killed more than 190,000 people from overdoses on prescription painkillers or illegal opioids (like heroin) when they could not get any more prescription opioids. The director of the White House Office of National Drug Control Policy points out that the demographic that is increasingly being affected by the opioid crisis – namely, white and middle class Americans – have the resources and connections to call legislators, lean on their insurance companies, and advocate for changes that elevate the tone of the conversation. To that point, The Economist writes of how even the popular image of a heroin addict has changed. Three decades ago, the face that came to mind was that of a black male, probably poor, and probably living under a bridge. Today, the face of heroin looks like that of a young grandmother from a suburb in Denver, who got addicted to heroin after developing a dependence on the OxyContin she took following a hip injury. ut old habits die hard, especially after a generation of misunderstanding and fear-mongering by politicians. 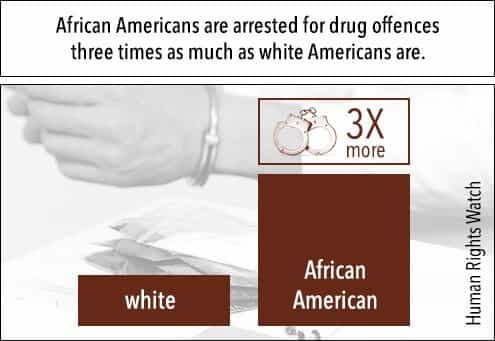 Even as white Americans are likely to use “most kinds of illegal drugs,” says the Huffington Post, it is black Americans who are more likely to be incarcerated for drug offenses. In 2009, the Human Rights Watch reported that African Americans are arrested for drug offences three times as much as white Americans are, even though cocaine use is more prevalent among white communities than among blacks and Latinos (according to a 2011 survey by the Substance Abuse and Mental Health Services Administration). As explained by Human Rights Watch, and circling back to the point made by Valley News and The Atlantic, police tend to make more drug-related arrests in low-income neighborhoods, which are typically populated by people of color. The heroin and drug epidemic may have moved out of urban areas and into suburban neighborhoods and rural towns, but the blight remains where it began. In reporting on “the horrific toll” of the epidemic crisis that has devastated America, the BBC writes of how areas laid to waste by crime and poverty are home to users and dealers openly buying and selling heroin and other drugs. In the “subterranean netherworld” of central Chicago, some addicts draw blood as they jam syringes into their muscles, having given up on finding a vein into which they can inject their heroin. While the small towns of farm country are making headlines as the new frontlines for the opioid epidemic, it is the city of Baltimore, Maryland (the largest city in the state, and with a population of over 620,000 in 2010, the 26th largest city in America) that the US Drug Enforcement Administration says has the highest number of heroin addicts and crime related to heroin in the United States. While the rural areas of the country have environments that contribute to the void that heroin and other opioids are only too happy to fill (low income levels, low education levels, high degree of workplace injuries), Baltimore is infamous for its crime and corruption, its long-simmering racial tensions, and antipathy towards local government and law enforcement. Its strategic location on the East Coast makes it a natural landing zone for dealers to smuggle cocaine and heroin to the other major cities in the region. This contributes to Baltimore’s heroin supply being purer, more effective, and much deadlier, than the product that is eventually cut and resold in other big urban locations. Such is the extent of Baltimore’s heroin problem, where a generation of residents have grown up with “an appetite for heroin,” that the city was given the status of a High Intensity Drug Trafficking Area by the federal government. The designation puts federal resources at the disposal of city authorities to hit back against drug dealers as they see fit. But in a city where a heroin dealer can make $150,000 a day, the drug market is worth at least $165 million. The young African American men selling packets of heroin on street corners don’t see that kind of money. With their limited education, they have no job prospects; for many, selling heroin is the only work they can get. It is a vicious cycle that speaks to what the Baltimore Sun calls the city’s “long-entrenched history” with heroin. It also suggests that even with the federal government’s attention on busting the crime rings that have poisoned Baltimore, and hundreds of other cities and communities across the country, it will take a generation (if not more) to turn the tide. Quoted in The New York Times, the chairman of the New Hampshire Governor’s Commission on Alcohol and Drug Abuse says that there is no community, demographic, or ethnic group that is immune to the epidemic of drug overdose deaths. 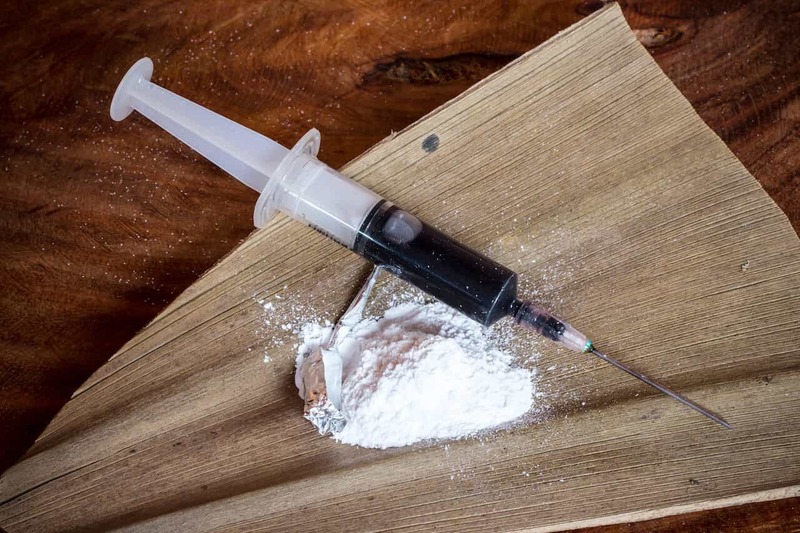 Whether in inner cities, affluent suburbs, or distant rural towns, heroin is gradually making its way to the heart of the substance abuse web. Some strands of that web, like MDMA and cocaine, are found in trendy nightclubs and celebrity mansions. Others, like crack cocaine and methamphetamine, might share space with heroin on street corners and rundown low-income housing projects. But thanks to pharmaceutical companies unleashing a flood of opioid-based painkillers on an unsuspecting (and vulnerable) general public, doctors are more than happy to write prescriptions. As smugglers have learned that some of the most potent drugs are found inside pill bottles at pharmacies, heroin has injected its way into the heart of the drug problem that has corroded urban, suburban, and rural America. “A Small Town Wonders What To Do When Heroin Is “Everywhere.”” (March 2016). NPR. Accessed May 6, 2016. “Recent Death of Kutztown High Grad Underscores Heroin’s Tragic Toll.” (November 2014). Reading Eagle. Accessed May 6, 2016. “The True Cost of Legalizing Moonshine.” (August 2014). Rice and Bread Magazine. Accessed May 6, 2016. “Hillbilly Heroin: The Painkiller Abuse Wrecking Lives in West Virginia.” (June 2001). The Guardian. Accessed May 6, 2016. “America’s Pill-popping Capital.” (April 2012). Salon. Accessed May 6, 2016. “Vermont Gov. Confronts Deadly Heroin Crisis as Public Health Problem.” (January 2014). PBS. Accessed May 6, 2016. “In Heroin Crisis, White Families Seek Gentler War on Drugs.” (October 2015). The New York Times. Accessed May 6, 2016. “The Changing Face of Heroin Use in the United States: A Retrospective Analysis of the Past 50 Years.” (July 2014). JAMA Psychiatry. Accessed May 6, 2016. “”You Want a Description of Hell?” OxyContin’s 12-Hour Problem.” (May 2016). Los Angeles Times. Accessed May 6, 2016. “Column: Changing Perceptions of Heroin Addiction.” (May 2014). Valley News. Accessed May 6, 2016. “How White Users Made Heroin a Public Health Problem.” (August 2015). The Atlantic. Accessed May 6, 2016. “The Great American Relapse.” (November 2014). The Economist. Accessed May 6, 2016. “When It Comes To Illegal Drug Use, White America Does The Crime, Black America Gets The Time.”(September 2013). The Huffington Post. Accessed May 6, 2016. “Race, Drugs and Law Enforcement in the United States.” (June 2009). Human Rights Watch. Accessed May 6, 2016. “The Horrific Toll of America’s Heroin ‘Epidemic’”.” (March 2014). BBC. Accessed May 23, 2015. “Baltimore: The Heroin Capital of the U.S.” (March 2015). The Fix. Accessed May 6, 2016..
“Abused Substances Differ in Rural, Urban Areas.” (September 2012). Psychiatric News. Accessed May 6, 2016. “Why Baltimore Blew Up.” (May 2015). Rolling Stone. Accessed May 6, 2016. “Part 1: Baltimore is the U.S. Heroin Capital.” (n.d.) ABC News. Accessed May 6, 2015. “How The Epidemic of Drug Overdose Deaths Ripples Across America.” (January 2016). The New York Times. Accessed May 7, 2016. “Illinois Teen Dies After Taking Drug “Molly,” Going to Wis. Nightclub.” (May 2016). NBC Chicago. Accessed May 7, 2016.